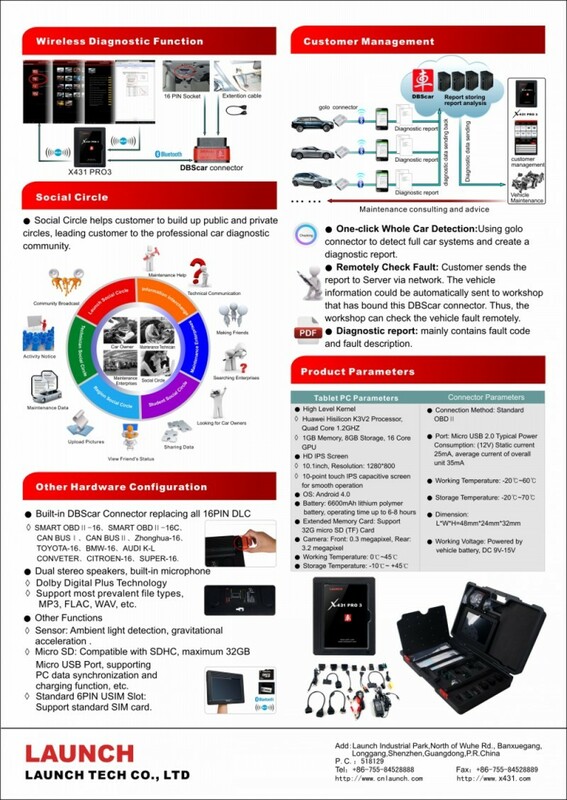 It passes on Launch advantages in automotive fault diagnostic technology, such as wide car model coverage, powerful function, abundant special function and accurate test data, etc. 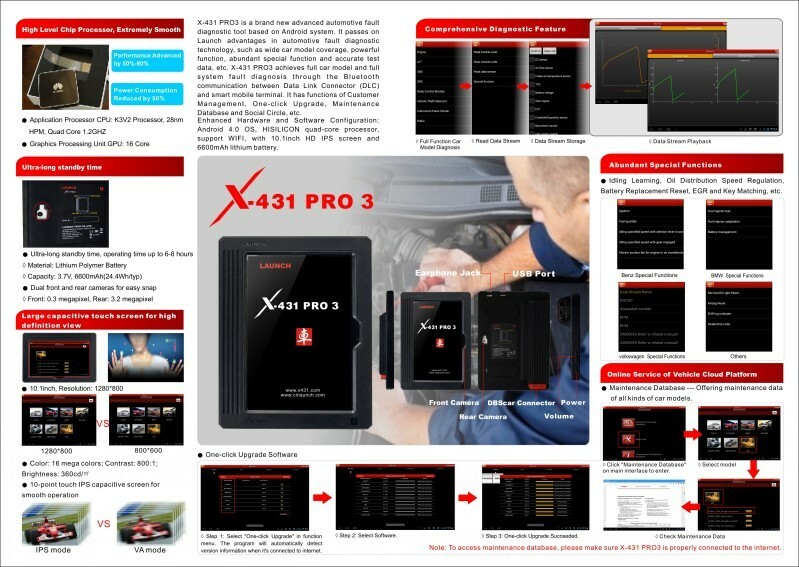 X-431 PRO3 achieves full car model and full system fault diagnosis through the Bluetooth communication between Data Link Connector (DLC) and smart mobile terminal. 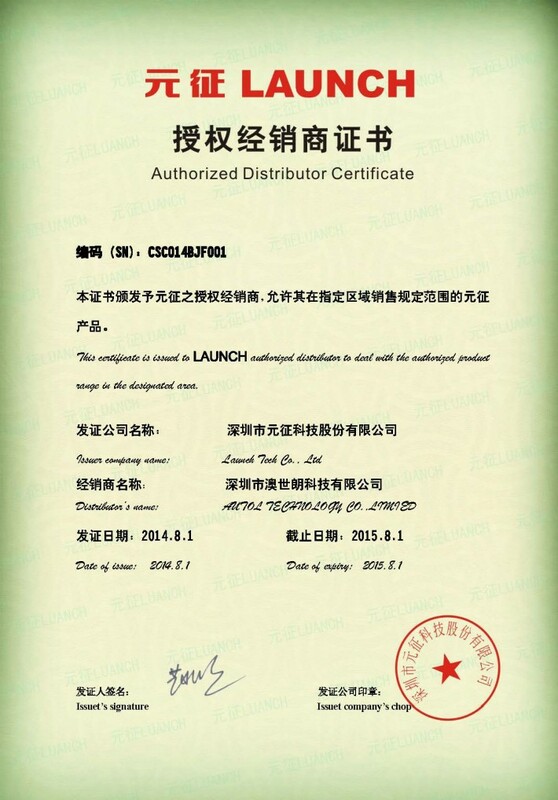 It has functions of Customer Management, One-click Upgrade, Maintenance Database and Social Circle, etc. . 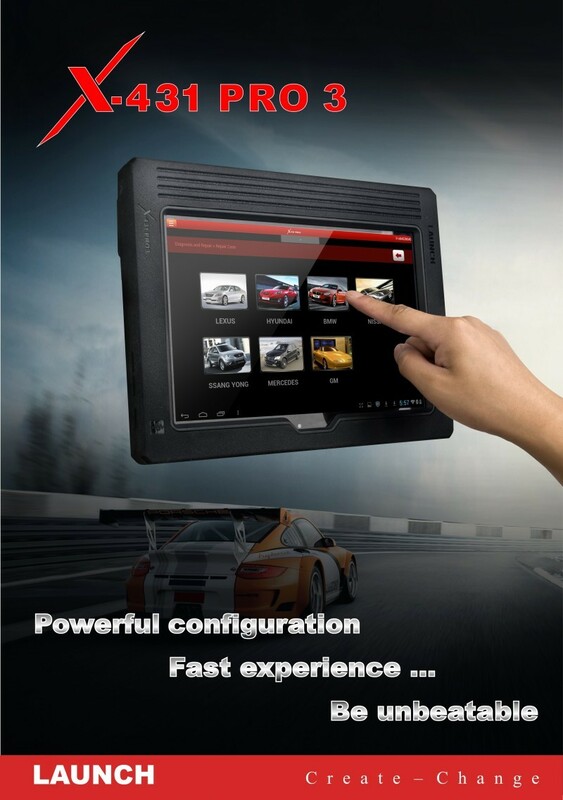 Enhanced Hardware and Software Configuration: Android 4.0 OS, HISILICON quad-core processor, support WIFI, with 10.1inch HD IPS screen and 6600mAh lithium battery.